Grawey Glass Company has a rich history in the greater Peoria area. Our beginning dates back to 1933, when a colossal windstorm ravaged the Bartonville, IL area. The destructive storm damaged residences and businesses alike. After it passed, Sy Grawey and his two sons, Henry and Bob, went around repairing hundreds of broken windows. 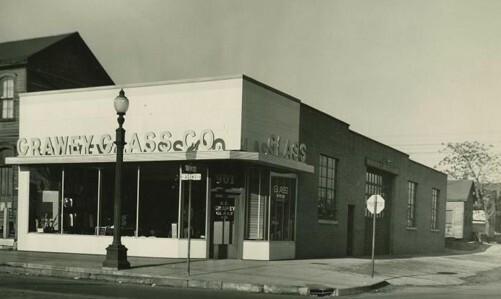 From the remaining panes of new glass, the Grawey Glass Company formed. Grawey Glass Company is the oldest and most trusted name in all things glass in the greater Peoria area. 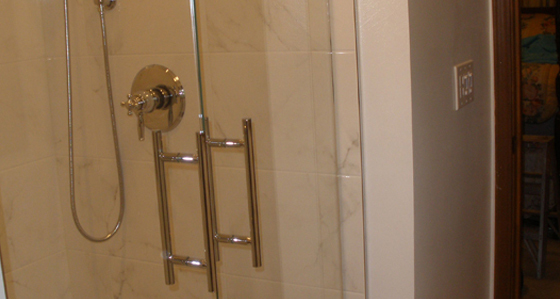 We offer glass and mirror products for nearly every project you can imagine. From standard storm window panes and thermal glass units to mall fronts and shower doors, Grawey Glass Company provides it all. We are the clear choice in everything glass. Shower Doors – If you are thinking of remodeling your bathroom and upgrading your shower, our classic shower doors will add that element of sophistication and practicality you’re looking for. Mirrors – Whatever size and shape you desire, we can customize mirrors to meet your needs and tastes. Storefronts – It isn’t called “window shopping” for nothing! Storefront windows can impact business, especially if they need to be repaired or replaced. Aluminum Doors – For beautiful, strong doors that will resist great force, aluminum doors are the perfect solution. Repairs – Give us a break! If your window or door needs repairing, you can’t afford to wait. Call the company that can get you back in business in no time. And more! Specialty – For those unique projects, we can custom make a glass or mirror products to your tastes. Tell us about your needs and we’ll provide you with a quote right away. Auto – Whether you need a repair on a window or a replacement for your windshield, call Grawey Glass Company! Whether you’re in Peoria, Canton, Morton, Pekin, Bloomington or any spot in between, choose the trusted name in all things glass. Contact Grawey today: 309-674-9129.